For as long as we’ve had the means to watch TV, video has been an important part of business marketing. Today it’s one of the most important pieces in your marketing toolbox. Video is quickly becoming the preferred way to consume content online and can provide you with analytical insights almost unparalleled to other forms of advertising. Where are people watching video? According to the web analytics company Alexa YouTube is the second-most popular website both in the United States and globally, with more than 500 million hours of video consumed daily. Those numbers are continually climbing and within a year a predicted 1 million minutes of video will be shared by viewers with their friends every second. Facebook isn’t far behind with users of the third-most popular website in the world consuming a total of 8 billion videos daily. In fact, CEO Mark Zuckerberg plans to turn Facebook into a video-first platform by 2020. Why are people watching video? Mobile technology has exploded by leaps and bounds since cell phones first became commonplace in the mid 90’s. 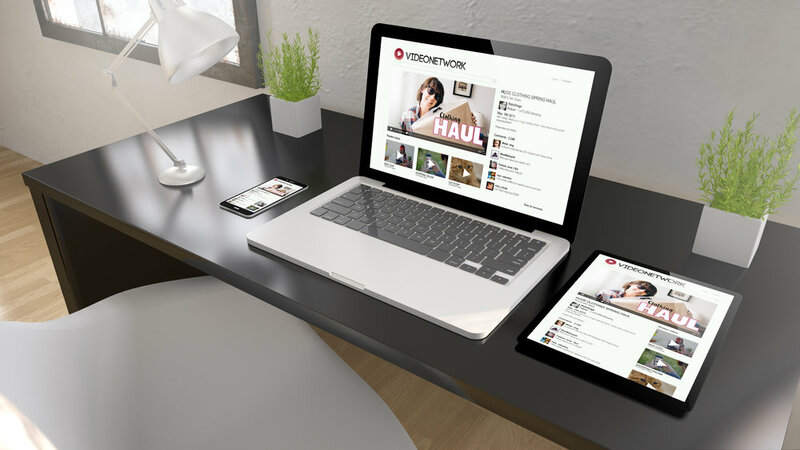 Today’s user frequently has multiple screens available to them at once, and all of them have been optimized for video. What does this mean when it comes to using video for your business? Video’s primary appeal is that that it’s effortless for the consumer. Why ask your audience to spend time flipping through product catalogues or reading extensive copy when you can deliver the content directly to them in an actively engaging manner? Consumers can then engage, embed, share and comment on video content at the touch of a button. When comparing products, 96 percent of consumers find video helpful in making their final decision and four times as many consumers would rather watch that video than read written information and customer reviews. To successfully engage your brand’s audience, always include a call to action in your video. Do you want your viewer to visit your website, follow you on social media or share the video with friends? All you have to do is ask. Trust is key in building strong and long-lasting relationships with consumers, and videos that have been shared by your consumers will be watched by new eyes with the idea in mind that someone they trust has found the video worthy of their time. When you build traditional text-based content, do you know how many people read it? Did they read the entire thing? Did one paragraph get more attention than another? In-depth metrics like these are difficult to generate. With video you can track exactly when a consumer stopped watching, how many full and partial views a video has, and how often a video actually generated business for your company. Compared to text, the ability to track individualized video results is unparalleled. Add on software designed for tracking the consumer journey (Google Analytics, Smaply and Gliffy, just to name a few) and the possibilities are endless. What to get in touch with Tabrizi Productions to learn more about what we can do for your business? Contact us for a free video consultation!